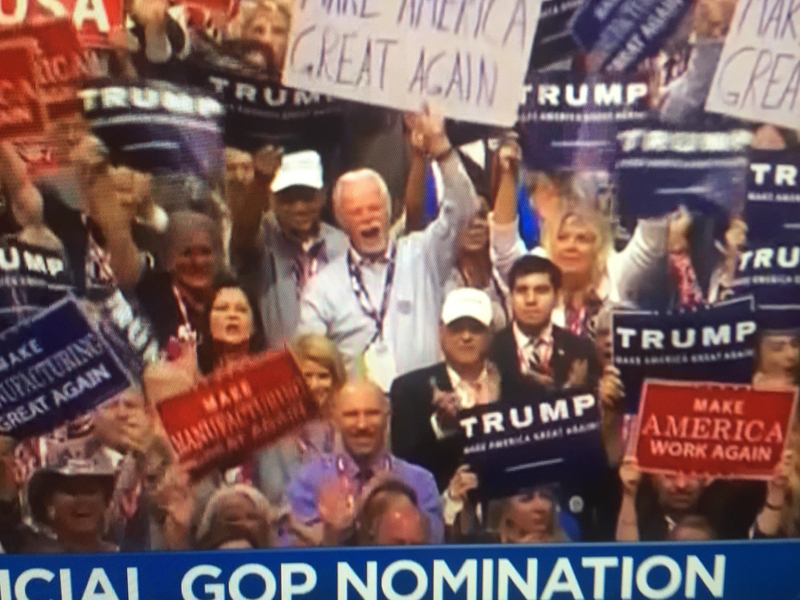 Hews Media Group-Community News has received pictures from concened residents and Cerritos College students that show Cerritos College Trustee Bob Arthur vehemently supporting Chris Christie and Donald Trump at the Republican National Convention. 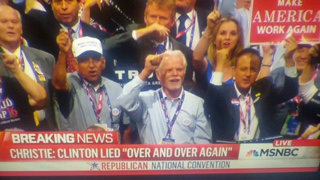 One resident, who posted a video on his Facebook page, told HMG-CN that Arthur could be seen yelling “lock her up” during Christie’s speech that slammed Hillary Clinton. It is unknown how fellow Cerritos College Trustees will react to Arthur’s attendance at the RNC, but the revelation is sure to cause dismay on the Cerritos College campus. Cerritos College ranks second in the state for Mexican-American/ Latino student transfers to California State Universities. It is well-documented that Trump will call for the deportation of 11 million Mexicans if he is elected president. Many prominent Republicans and ex-presidents refused to speak or endorse Trump including the Bush’s, Mitt Romney, John McCain, former Gov. Tom Ridge, Sen. Lindsey Graham, and others. After the Democratic National Convention, several prominent Republican TV and radio show hosts denounced Trump. Arthur is a former mayor and councilman of Norwalk and past member of the Board of the LACMTA. He was elected to the board in 1995 and was re-elected to represent Trustee Area 1 in 2012. 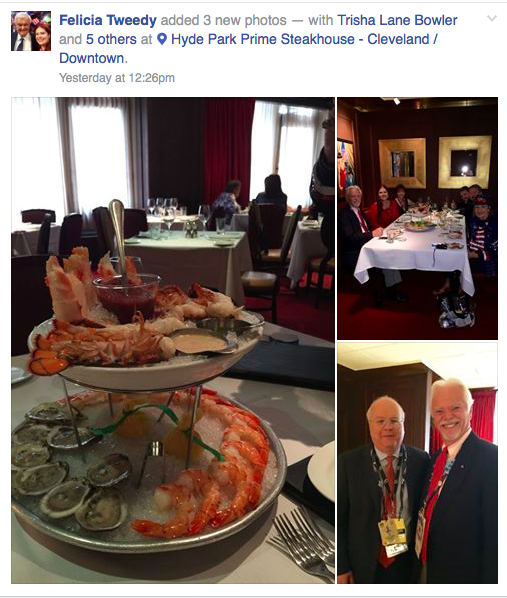 Arthur was also seen on other Facebook pages enjoying extravagent meals at Cleveland restaurants. Why is this controversial? Since when do people give up their Constitutional rights to support a candidate they prefer?